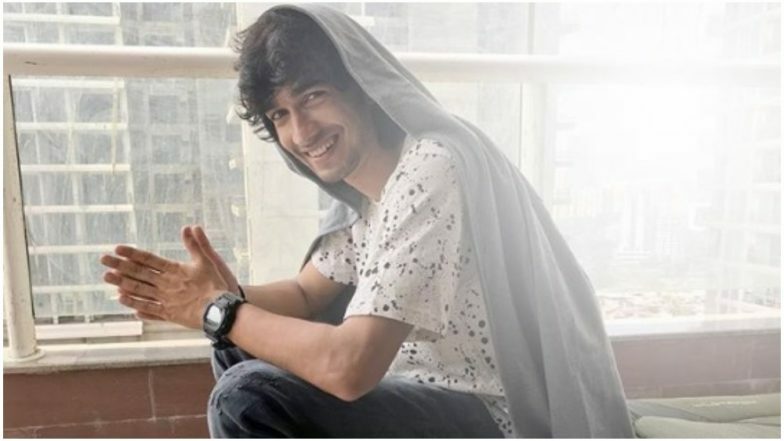 Acting and dancing sensation Shantanu Maheshwari, who began his acting career with Dil Dosti Dance for Channel V, rose to fame by essaying the role of the lead character, Swayam Shekhawat during the four-year run of the show. The actor, who participated and won the stunt-based reality show Fear Factor: Khatron Ke Khiladi 8, is one of the most popular dancers. And for those who aren't aware, Shantanu has won many accolades for his dance performances both at national as well as at international level. After winning accolades for his dance on both national and the International level, the actor has now added another feather to his cap. Shantanu Maheshwari’s New Romantic Single Will Make You Go ‘Haaye Oye’! Yes, you read that right! The 28-year-old, who impressed diva Jennifer Lopez on season 2 of reality show World of Dance with his amazing dance moves, just went a notch higher at London's Oxford University where he and his dance crew the Desi Hoppers gave a mega dance performance representing India at a social entrepreneur summit, which was watched by thousands including key speakers of the event like Academy award winner Chiwetel Ejiofor, Grammy award winner Sarah Mclachan, Chief International anchor for the CNN Christiane Amanpoure and many more who were quite impressed by the lad and his crew's act on stage! Excitedly speaking on his experience, Shantanu said, "It's been my dream to visit the Oxford university once in my life, and now Desi Hoppers and I actually performed there which was quite exciting for us all! We got another chance to represent the country along with a host of other countries which we are proud of doing once again! As part of our dance performance for the summit, we incorporated our culture into what we put up on stage with a mix of our own streetmation style which covers the Indian element of dance as well. It was indeed a proud moment to have so many diverse personalities in the audience watch and appreciate us, which in return helped us make our country proud on such a prominent stage!" Watch this space for further updates.